Love that picture, it is gorgeous! Happy Easter to you...hope the Easter Bunny brings you lots of goodies, Truffles! Beautiful egg, and love the flowers too :) Happy Easter and have a great week ! is that real?!!? Wow! Happy Easter! Love, Crepes and Alana. Great haul and happy Easter!!! Have a great week. Love that picture. What an amazing egg! Happy Easter, Melissa and Truffles! Happy Easter! 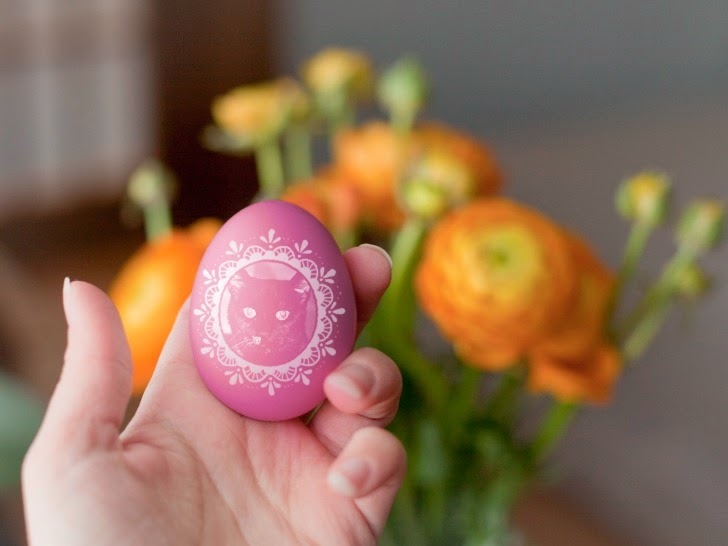 Love that cute print on the egg! Pretty! I really enjoyed Forget Me Knot and I hope you do as well. Have a great week!